In the Toronto area, there are a number of trusted professionals available to help with plumbing issues. An experienced plumber can help you with garbage disposal unblocking, bathroom repair and drain replacement to keep your project running smoothly. When in doubt, turn to the professionals at Ask a Pro for informed answers to your plumbing questions. We at Drain Rescue Take All Possible Precautions to Ensure that we Meet or Exceed, the Level of Quality Plumbing Services that you Expect of a Helper being Entrusted with the Well-Being of Your Home. Plumbing, heating & backflow Specialists - 24/7Emergency Service - Residential, Commercial, Industrial - A Family Business You Can Trust! Our MASTER PLUMBERS provide the highest qualityplumbing, drain, waterline and waterproofing services. Licensed and Insured. Fast & Reliable. 15 Years Experience. Call us TODAY. FAST - RELIABLE - DEPENDABLE PLUMBING & DRAIN EXPERTS We truly care about all the jobs we do for all our customers. Plumbing Repairs, Plumbing Fixtures, Drain Service, Bathroom Renovations & More. Family Owned & Operated for 4 generations (80YRS). We Sell it, We Install it, We Guarantee it! Contact Us Today! Since 1986 – Nor-Line has had the pleasure of serving the plumbing and mechanical needs of their valued commercial, institutional, industrial and residential clients. Drain King Plumbers is a locally-owned, 24/7 full-service plumbing and drain company, serving all of Toronto and the Greater Toronto Area. 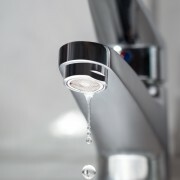 Residential and commercial plumbers servicing the GTA since 1980. Count on a comprehensive, detail-oriented approach by licensed plumbers with a fix it once, never have to return attitude. Over 35 years experience. Full Plumbing, Drain Waterproofing services. Family owned and operated. Visit or Call for more information. A plumbing, heating & mechanical company dedicated to serving the condominium management sector exclusively. 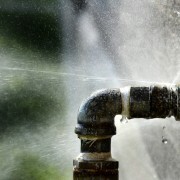 Services include: Domestic hot & cold water, Boiler / Mechanical Room, Backflow Prevention. Need a reliable and affordable plumber in the Toronto area? Call in the professionals at Mega City Drain & Plumbing. Welcome to MunicipalMechanical.com - Specializing in Commercial, Industrial and Residential services. When choosing plumbing contractors, you should look for efficiency, experience, and reliability. You may require the services of local plumbing contractors when you are installing plumbing for your new house, when there is a major leakage or when a piping system is damaged or defunct. Good reputation: Hire qualified, full-time local plumbing contractors, known for their consistent good work, and recommended by a trusted source. Cost: It is advisable to go for plumbing contractors who have a flat rate pricing rather than those who bill you on the basis of materials used and time taken. Credentials: Ask for the license number of local plumbers, and confirm that it is active and valid by contacting the appropriate organization. Don’t hesitate to ask plumbing contractors for credentials and experience. It is important that you can trust their expertise in carrying out local plumbing services. Schedule: It is highly recommended that you arrive at an agreed timetable with local plumbing contractors while initiating a project because local plumbers may also be working on other projects. Find local plumbers who specialize in your specific need, then narrow down to the contractor of your choice.